Electronic music has progressed immensely over the past decade, with acts becoming staples of festival circuits and standardized as soundtracks to more exhilarating film and television. The stereotypical DJ set up has also evolved, from your once upon a time DJ just with his turntables to MPC’s, decks, elaborate visual stage arrangements and considerably more. France’s Jus†ice (scheduled to begin at 9:30) started bang on time, wowing their immense audience in Vancouver’s packed PNE forum. Their signature cross logo stood in the middle of a gigantic mixer, sandwiched between over thirty feet of subwoofers. Despite only having two album’s worth of their own material, remixes and simplified versions of their songs were spliced in between song’s original versions and mash ups of other hooks. Each song ended up submerged by pounding bass and a superb light show. The concentrated energy by the crowd seeped throughout, even entering the washrooms where over enthusiastic fans couldn’t help but use the light switch to further the light show experience. Thankfully I was sober enough to know how to aim. Although certain electronic groups translate their music into renditions with traditional instruments, Justice remain with their hardware; the two of them and an astounding technical set up. With that said, the duo have enough surrounding them to provide more than a little visual stimulation. Of course the duo performed various versions of “D.A.N.C.E.”, “Civilization,” “Stress” and “DVNO,” but the personal highlight was “Genesis” – the entire lighting theme turned to infuriating shades of deep red and red screens, alongside of the cranked volume one couldn’t help but be hypnotized. If you leave a Justice show with perfect hearing, you weren’t standing in the crowd or near the stage. These DJ’s put on a fantastic live show. There are a select few artists in the music industry, Hip Hop especially, that can say they’ve made it to the top independently. Tech N9ne can though. Having taken his indie label Strange Music in the late 90’s to sell well over a million records by today, and touring the world, the Kansas City emcee has proven that with the right drive and support, you can be a contender alongside the major labels. He’s currently on the road performing for fans and promoting his forthcoming album “6’s and 7’s” which features the Deftones, Mint Condition and Lil’ Wayne amongst others. Tech N9ne took some time out of his day while in Vancouver to sit and talk with MVRemix for a while. The Lil’ Wayne “I’m Still Music” tour proved to be a force to be reckoned with. Having seen the same stage host many other artists, Rogers Arena (formerly GM Place) proved to be the right landscape for the vast musical catalogue that his discography boasts. There are several considerations vital to a stadium show versus that of a smaller venue. Firstly of course, there’s the price, which tends to be considerably higher than your 400 person or your 2,000 person venue. There’s also where you’re located and how much of a fan you are of the artist. The bang for buck is what we’re all searching for. Vancouver’s leg of the “I’m Still Music” tour was definitely worth the price of admission, no matter where you were. The larger screens featured an accurate and well chosen array of close up shots during the night. The only exception was during Rick Ross’ set. For some reason the shot remained static, just Ross standing in front of a 30 foot canopy where no close up was seen of the rapper on the screens. If you were privileged to be close enough, or have floor seats, he was in full view. But throughout the night the only rapper without close ups was Ricky Rozay. From the get go, the carefully planned show went smoothly. Travis Barker and Mixmaster Mike kicked things off, performing inside of a blown up boom box; Mixmaster Mike scratching and mixing in the circle meant for one speaker, and Barker drumming inside the other. The visual depiction was fantastic, and a surprise cameo by Paul Wall had a lot of onlookers stunned. Barker showcased his drumming talents, stepping up a fast tempo beat for a mash up of Outkast’s “Bombs Over Baghdad.” He continued through an array of songs, drumming away seamlessly alongside MMM’s mash ups. “Give The Drummer Some” of course was the album most drawn from, and for an opening act the performance was superb. Rick Ross’ set followed shortly thereafter. The Teflon Don performed in signature fashion, emerging with ferocity after a Pulp Fiction sampled intro and Thriller laugh sample. He kicked his set off with “MC Hammer” and proceeded to run through “Husslin,” “Aston Martin Music” and brought Masspike Miles out to be his hypeman, aiding Ross on “Cigar Music” and taking T-Pain’s role for Ross to perform live renditions of DJ Khaled hits. “Blowin’ Money Fast” received the strongest response, the back and forth crowd response from the hook was perfect as with “I’m Not A Star” also received a huge reception. Rick Ross concentrated on promoting the new Maybach Music release “Self Made” throughout his 30 minute set (which appeared longer as he performed more verses than full songs). His call and response with “Self” / “Made” back and forth with the crowd appeared somewhat corny, however he’s in the position he’s in and is “self made” as a result of his marketing practices. Though apparent early on, once Lil’ Wayne took the stage, wearing a Vancouver Canucks Hockey Jersey and fitted cap (the Canucks having won a significant game the night before), the weed aroma’s kicked up a notch. They had been around earlier, as with most concerts, but as Wayne came out the joints became considerably more prevalent. The strong roar of the crowd was impossible not to partake in as he ascended from beneath the stage, straight into “I’m Going In.” From there on, the show was Wayne’s with the New Orleans native commanding his audience’s every look. The Cash Money/Young Money rapper had a full band behind him, and a three story set of scaffolding that he alternated which level he stood and performed upon. Behind the scafolding stood screens projecting slideshows and animations showcasing the various songs. Weezy’s energetic presence on stage and non-stop movement was captivating. Midway through Lil’ Wayne’s set he informed the crowd that he had to go change, the arena was lit up briefly before darkening again. A sequence from Gladiator where Russell Crowe enters the arena played out behind him on the main screen as a man that the audience assumed was Lil’ Wayne, covered by a hood, barefoot, and wearing a Monk’s robe emerged. It was revealed not to be Wayne, but in fact SB (Nicki Minaj’s hypeman) as Nicki Minaj asceneded from beneath the stage wearing a corset, a signature beehive wig and extremely colourful tights. She began with “Roman’s Revenge,” running around the stage whilst her dancers interpreted and performed their choreographed moves. The dancers collaborated to create a football set up, where Nicki ran through them, scored a touchdown and was met by a referee at the end of it all. Unsurprisingly, a large amount of men surrounding me sat down, uninterested in Minaj. They even booed, but couldn’t be heard over the roars and screams of the thousands of adoring onlookers. Minaj performed her hits from “Pink Friday” before Lil Wayne returned and Minaj briefly made a stage exit to change her wig. Minaj had trouble hiding her smile, which was cute. Her performance solidified her validity as a rapper, with her high paced movement and breath control working to bring her material to life. Wayne made his return shortly thereafter, running through hits and verses from collaborations with Drake, Eminem and DJ Khaled amongst others, bringing out his own guitar and singing some of his rock songs as well. The set included several theatrical performances where actresses would come out on stage to aid in his live renditions including a woman loosely dressed in a police uniform to play out “Miss Officer.” Fireworks and flame bursts occassionally spruced up Wayne’s set, but at no point were they necessary as Lil Wayne live is far superior than on his recordings. The “I’m Still Music” tour is definitely a stadium show, organized to perfection. The light collages set up behind the artists were served as a great accentuation and the close ups for those in poor seated areas were orchestrated to perfrection by the live feed on huge display screens. Wherever you were, the atmosphere and the way Wayne, Nicki Minaj, Rick Ross and Travis Barker performed was phenomenal. Reaching a packed club is always an interesting experience, noticing the line ups and the array of attire that people sport. Venue’s Trentemøller show provided an interesting assortment of fans. Before the set, the crowds were thick, packing around the stage and securing the best viewpoints from the balcony. Before long, Trentemøller and his band began at the Vancouver, BC club and entered into their performance filled with eclectic moods and powerful light shows. 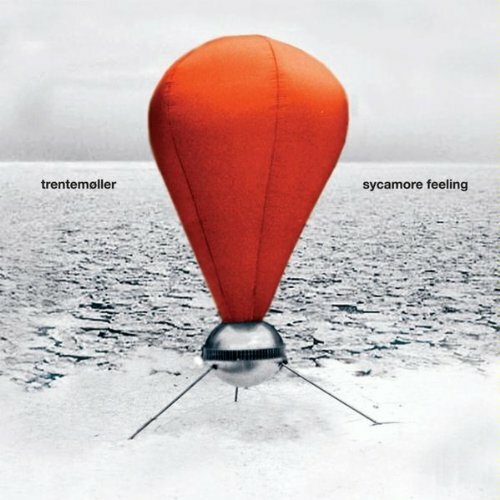 With Trentemøller’s music, songs tend to be a lot longer than what people typically expect. Those in the audience that were unfamiliar with him, but had his music recommended by others were treated to an amazing first exposure. Anders Trentemøller and his band have solidified a live experience unlike any other group, and the Dane has accomplished a lot having been making music in various capacities for nearly two decades now. After the set on April 13th, 2011, I went back to have a few words with Anders Trentemøller about his forthcoming set at Coachella, how the Ultra Music Festival went and which music videos (check out “Sycamore Feeling” and “…Even Though You’re With Another Girl“) and live performers influenced him. Following our interview Trentemøller quipped about how much enjoyment he gets from touring, but for the band to take days of here and there while touring is a rarity. The expense of having the eleven people involved take a day off means hotel costs and huge expenses. He also mentioned about his acceptance of the public’s perception that Trentemøller is a DJ as opposed to an artist as his Royksopp remix and other remixes have earned him higher notoriety separate to that of his solo music. One thing was settled that night though, Trentemøller and his band can easily captivate an audience by their music alone. No emceeing or “We love you Vancouver” needed in order to have people leave happy and roar. Just play the songs and leave the stage.